Our mill was developed for the highest requirements! Pressing olives in a traditional stone mill is certainly a romantic idea. However, this does not allow the high requirements made related to hygiene, taste and the valuable ingredients to be realised. 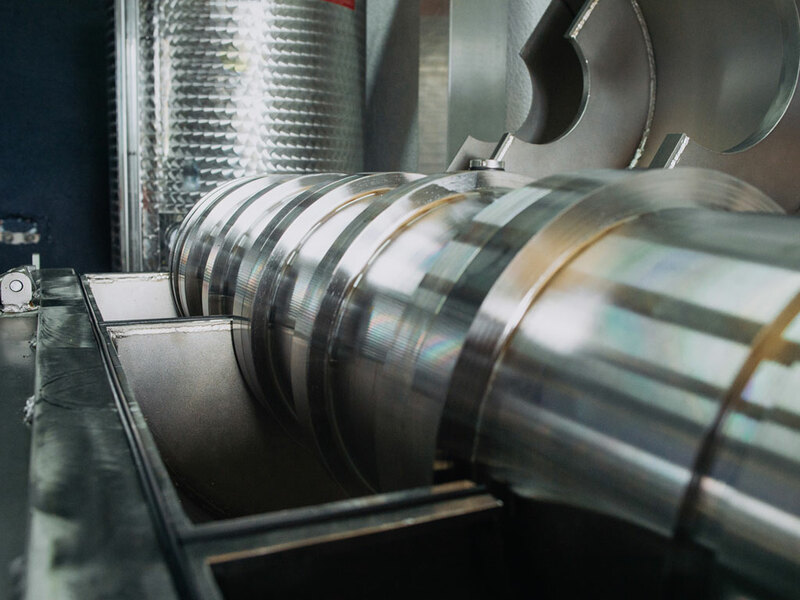 Our high-tech oil mill is made entirely of stainless steel, supervised via computer and allows us to carry out production under outstanding hygienic conditions and unique quality. It was purpose-built for OLI DE SANTANYI and developed in cooperation with our team for our exclusive method of organic oil production. It enables us to harvest the olives at an extremely early time and thereby to preserve a high portion of the valuable ingredients. These ingredients get lost with an increasing degree of ripeness and late harvesting. We begin harvesting at the end of September and early October. The olives are harvested by hand when they are still green, which is very work-intensive as the olives still cling firmly to the tree. Each variety is separately harvested and processed in order to preserve its distinct character. Only after the pressing and tasting is the decision made on which proportion our 3 varieties will be mixed (coupage) in order to preserve the exclusive taste of OLI DE SANTANYI. The early harvest is only possible through elaborate measures during the harvest and using our special processing methods. This only gives a very small yield of ca. 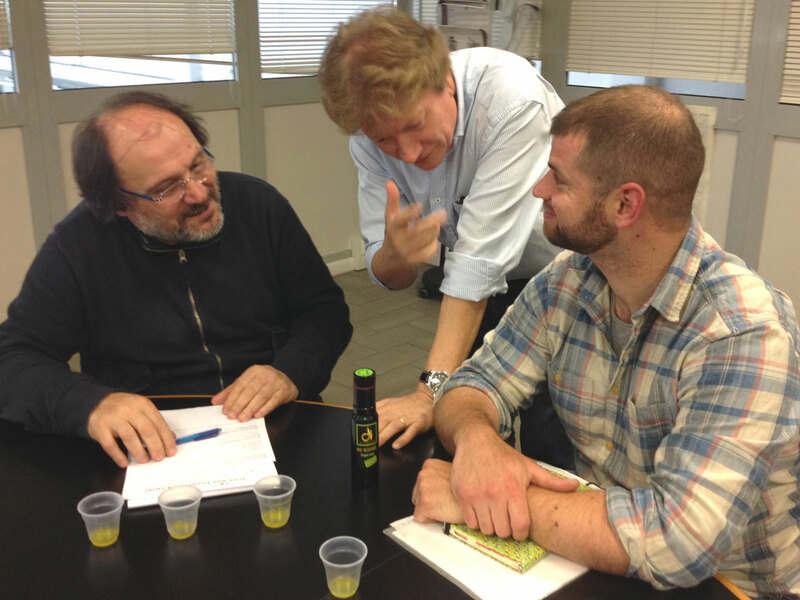 8% in contrast to the yield with very ripe olives of up to 20%. In order to reduce the bitter-tasting compounds of the green olives, the olives are pitted and only the valuable flesh of the fruit is used. The production process is highly complicated in technical terms. 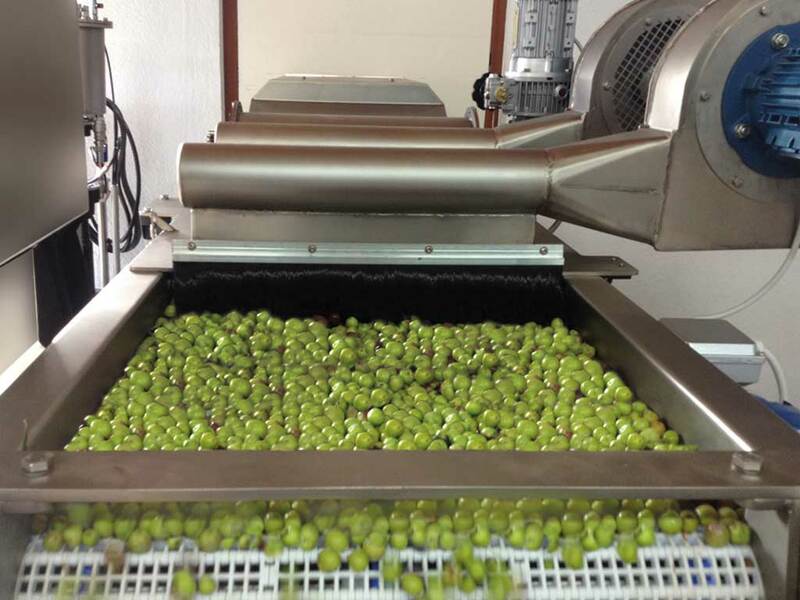 It is monitored by computer and allows us to finely adjust the individual working steps in a customised way, depending on the degree of ripeness of the olives and the variety. In this respect, a high degree of sensitivity in terms of craftsmanship and a lot of experience on the part of the olive grower are required. 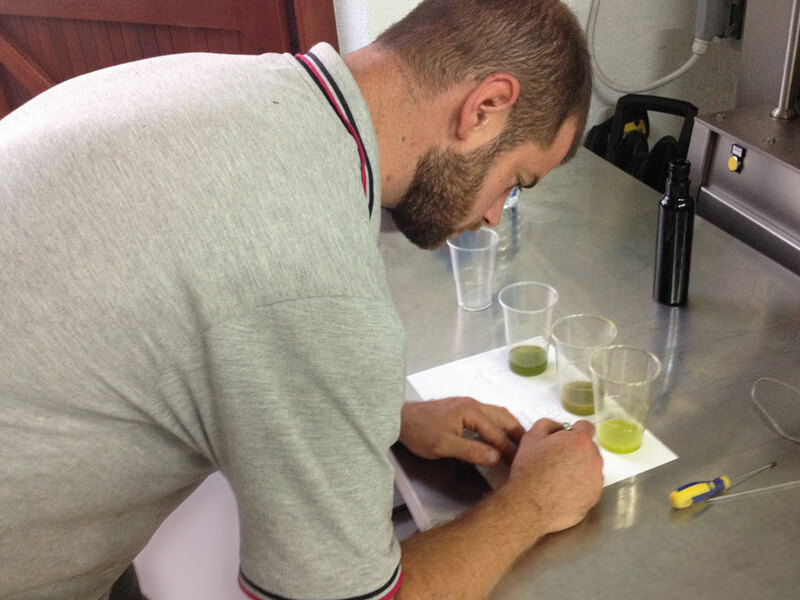 The particularity of the early harvest and the elaborate processing make the healthy, green organic olive fruits an elixir, which offers optimal enjoyment. 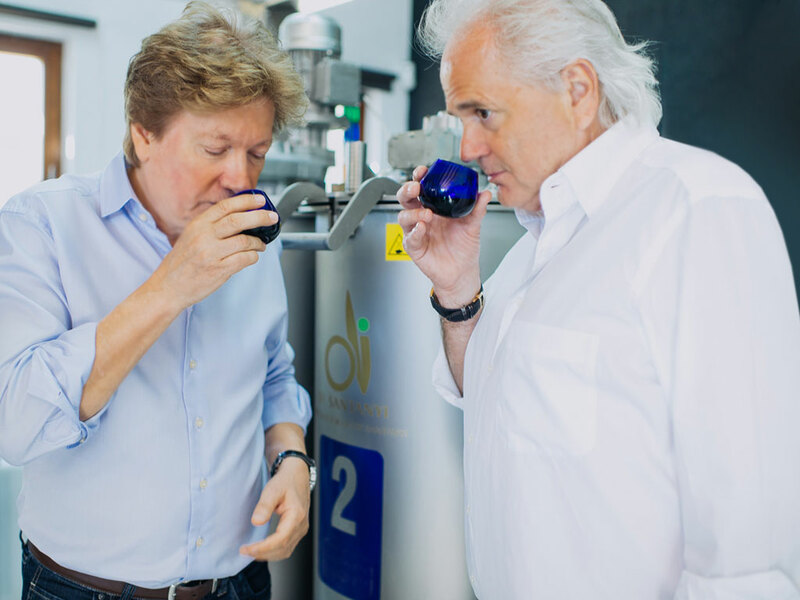 The secret lies in the antioxidants, the polyphenols and the combination of other special ingredients that we protect through our exclusive methods. 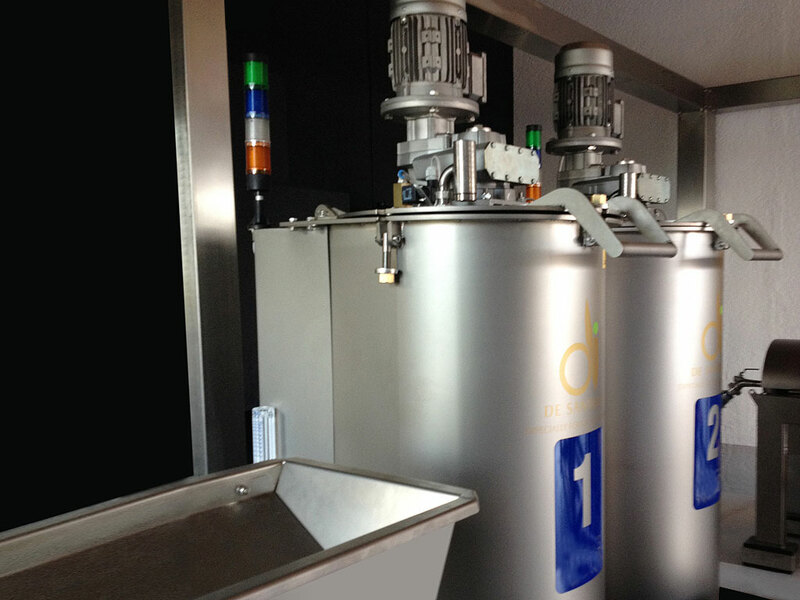 As the polyphenols oxidise very quickly, we process the olive mass in airtight kneading machines in which a vacuum is formed. The temperature is constantly controlled during the operation in order to extract the oil at the preferred low temperatures of 20-22°C (according to EU regulations, a temperature of up to 27°C is permissible in cold extraction). 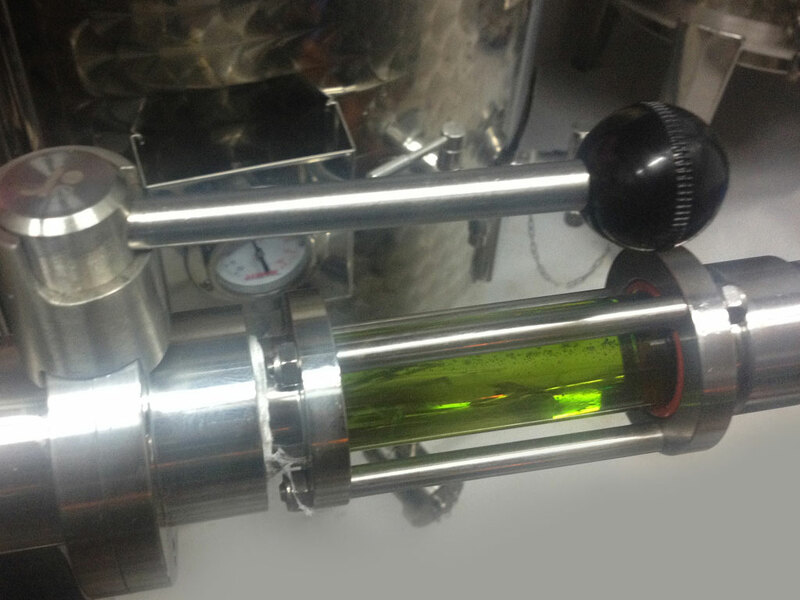 For quality assurance of the fresh oil, it is filtered from the decanter directly after extraction. 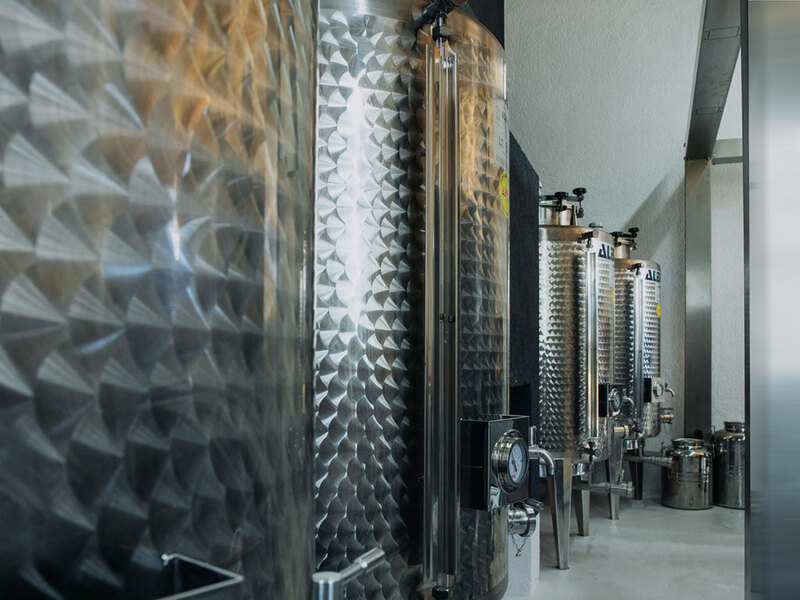 The remaining cellular water and the substances dissolved in it are removed in order to guarantee the keeping properties of the valuable ingredients and flavours.